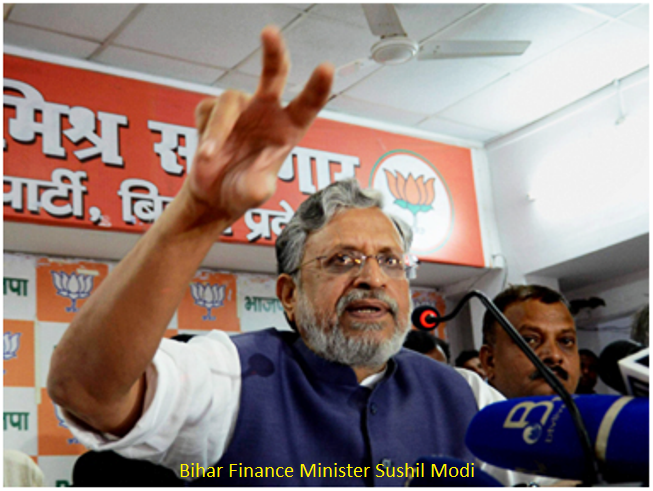 All powerful GSTCouncil will consider bringing electricity, petroleum products and some other items under the ambit of GST in future, Bihar Finance Minister Sushil Modi said here. "Electricity, real estate, stamp duty and petroleum products should become part of GST (Goods and Services Tax). This would be our (GST Council) endeavour," he said at the annual meet of industry chamber Ficci. He, however, said it would be difficult to specify any timeline for this to happen. Inclusion of these can happen without amending the Constitution, he said. If petroleum products are brought under the GST regime, he said, it will attract the highest tax slab prevalent at that time and states would be at liberty to levy cess on it in order to protect their revenues. Modi also hinted at the reduction of tax slabs going forward after tax collection stabilises. The current GST regime has five tax slabs --- 0 per cent, 5 per cent, 12 per cent, 18 per cent and 28 per cent. An additional GST cess is also levied on certain products. Although the final decision would be taken by the Council, he said, "The possible scenario could be that the current highest tax slab of 28 per cent could be brought down to 25 per cent and two tax slabs of 12 per cent and 18 per cent could be merged into one." Modi, who heads the group of state finance ministers, said that GST Network is the backbone of the GST regime. Defending Infosys which has designed the architecture and responsible for running GST backend, he said, "I can say with confidence that we have hired the best company for this." Recently, Infosys came under lot of criticism for frequent failure of the network leading to extension of deadlines for returns on several occasions. He further said that GSTN is robust and only 30 per cent of its capacity has been utilised so far. However, Jammu and Kashmir Finance Minister Haseeb Drabu said GSTN should have briefed the Council about the preparedness. GSTN failed in this respect and glitches are being sorted out, Drabu added. In the last four months 3.20 lakh returns have been filed through the network, he said, adding that forms are being simplified with the objective to make the entire tax experience an easy affair. At the same time work is also underway with regard to refund and input tax credit, he said. Modi also said that the GST will succeed like Value Added Tax and expressed hope that states will not seek compensation from the Centre after 2-3 years. The Centre has promised to compensate states for shortfall in revenue collection due to implementation of GST for five years. Drabu further said these are still early days and it would be unfair to judge the GST system just yet. "Give it another three to four months. If the government and the GST Council are as responsive as they have been, what we have in the making is a robust GST which works for business, the central government and the states," he said. He said that the biggest gain of GST was that it represents India's first truly genuine federal legislation. Revenues may not have increased in the last couple of months, but the regime has given the states a sub-national freedom to legislate. The transition, he said, was not as glamorous as globalisation and liberalisation, but it marks a certain move towards formalisation of the economy. The states, he said, have got a wonderful deal as GST guarantees revenues at 14 per cent growth year-on-year and what we have is a virtual tax insurance policy for five years.